In 2018, the International Water Mist Association (IWMA) will honour the author of the best master thesis on water mist fire protection. The deadline to hand in submissions is 30th April. The IWMA Scientific Council will evaluate all entries and will announce the winner on 30th June. IWMA have published the rules for taking part on their webpage. 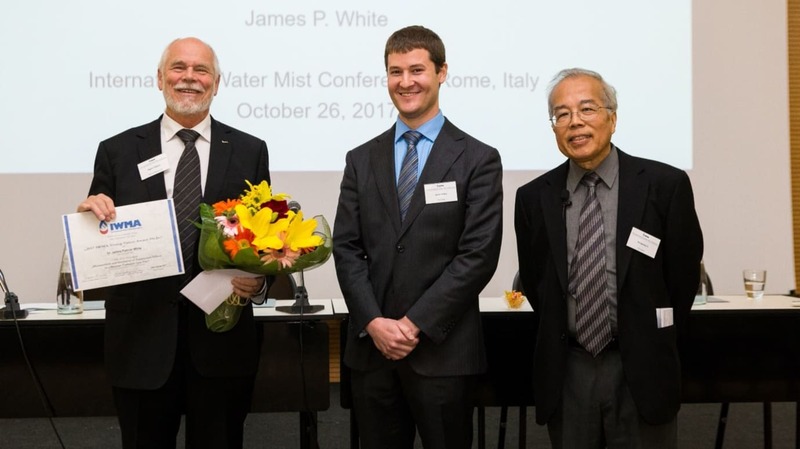 The prize includes an invitation to the 18th International Water Mist Conference, which in 2018 will take place in London, UK, on 19th and 20th September. The winner will have the opportunity to present her or his master thesis. IWMA will cover travel and accommodation expenses. The winner will receive a prize money of 1,000 € and a one year free IWMA membership. IWMA will offer this reward for the third time. Previous winners were Daniel A. Martin in 2016 for his master thesis and James P. White in 2017 for his Ph.D. thesis.